Life in the Clouds: Ecuador Blog Swap! Keeping with the theme of this week, blog swap!, Heather Kryzak writes to you below from MPI Ecuador. 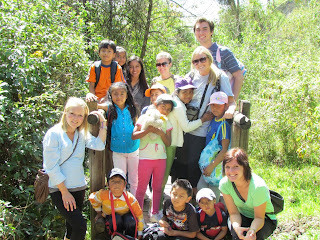 Hey everyone, this is Heather Kryzak, one of the 7 Program Directors at the MPI Ecuador site. I am in charge of our site’s blog, (along with Watkins Fulk-Gray) and am writing to give our Nicaragua and Guatemala readers an update on how things are going here in the Chillos Valley. 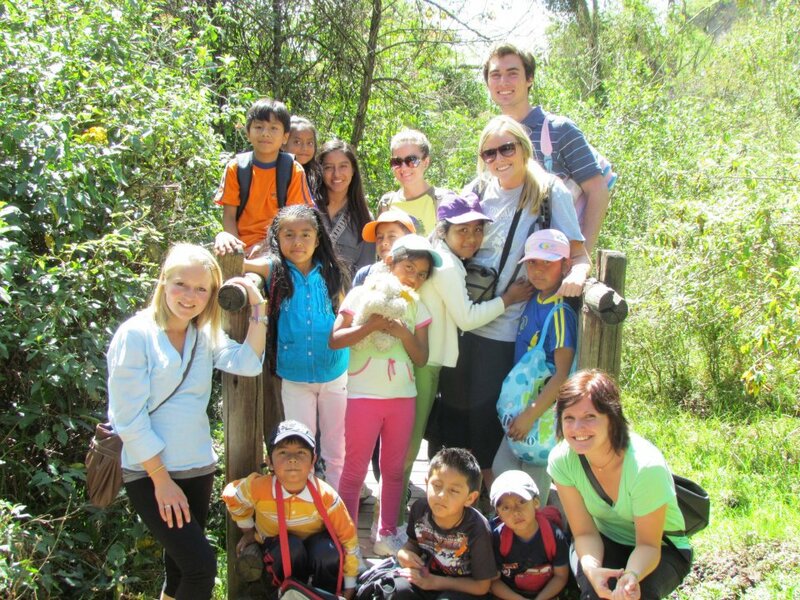 We arrived here in July and spent our first two weeks living in Quito with host families, getting to know the Ecuadorian culture and taking some intensive Spanish classes. 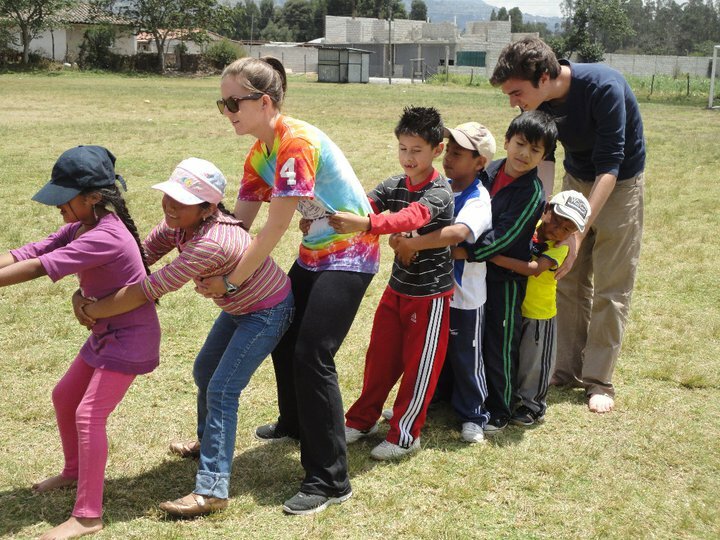 Then we moved into the valley and got started with a 3-week summer camp for kids. This was a great chance for us to meet the kids in our community and their parents and to start finding our way around the valley. Since then we have been busy with our first quarter of programs, most of which we run out of our public-lending library and community center in Rumiloma. This space holds our adult and children’s English classes, children’s art, women’s exercise, adult’s nutrition and cooking classes, and a new computer class one of our PD’s Charlie started up this year. The library is also a safe space for children to come and play games, read, and get help with their homework. A special part of the library is reserved just for teens to hang out, play videogames and ping-pong, and occasionally watch movies on a Friday night. In addition to the programs we hold in the library, the small business development program meets directly with local businesses giving them free consultations and help with accounting. Two of our PD’s work directly in a nearby high-school giving nutrition classes for children once a week. We also have an agriculture program that works with a local organic farmer’s cooperative and with another foundation nearby that has small organic garden plots. We just said goodbye to our first round of short-term volunteers, a group of 5 girls from the University of Georgia who spent the week shadowing our programs and helping us with some manual labor. It was exciting and refreshing to get some big projects taken care of and hear some outside perspectives on what we are doing here. The first quarter has flown by for us in a whirl of meeting new people and establishing lasting relationships in the community. As we wrap up and prepare for vacation we are also busy planning a Christmas party for community members in the library and a larger community celebration to be held when we return in January. We have found it to be important to hold events every once in a while to attract new faces to the center while letting everyone know we are still here and our programs will continue to go strong. Thanks to Guatemala and Nicaragua for this chance to share a little bit of news from Ecuador. Check out our site’s blog for more information on life in the Chillos Valley!